A boutique law firm in Hasbrouck Heights has strengthened its commercial real estate practice with the addition of three new attorneys. Bertone Piccini LLP announced recently that it had hired Joseph M. Vigliotti, Sean R. McGowan and Sharon Reider Babb. The hires, which bring the firm’s attorney roster to 11, are meant to bolster the platform offered to clients in the real estate, redevelopment and land use groups. Vigliotti concentrates his practice on real estate transactions and mortgage- and asset-based lending, according to a news release. He advises companies and individuals on real estate issues tied to acquisition and disposition, along with issues related to commercial lending transactions with various collateral types. 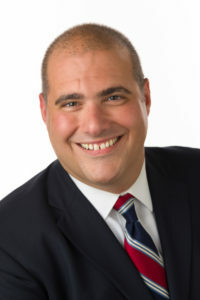 He is licensed to practice in New Jersey, having earned his juris doctorate from Albany Law School of Union University and an MBA from The College of Saint Rose. “Joe joining the firm brings a level of commercial deal-making and financing experience that is second-to-none to our already existing platform of developer, owner and company clientele,” said Jeremy Piccini, founding partner of Bertone Piccini LLP. Reider Babb concentrates her practice on complex commercial real estate and commercial lending transactions, advising companies on property leasing, acquisition, lending, construction and development, the news release said. She represents landlords, tenants, borrowers, lenders, buyers and sellers on a national, regional or local basis. The news released added that Reider Babb has experience at both major law firms and as an in-house attorney. She is admitted to the bars in New Jersey and New York, having earned her law degree from the Benjamin N. Cardozo School of Law. The third new hire, McGowan, concentrates his practice on areas such as redevelopment, land use planning and zoning, real estate transactions, commercial lending, landlord-tenant and general business representation. Prior to joining Bertone Piccini, he was vice president of development and legal affairs for a large New Jersey-based commercial developer, where he oversaw the development and entitlement process for more than 2,000 multifamily residential units, retail and warehouse space. McGowan has also operated his own private law practice for the past six years. He is licensed to practice in New Jersey and earned his juris doctorate from Seton Hall University School of Law.